When it comes to tying the knot, saying "I do," really is just the beginning. 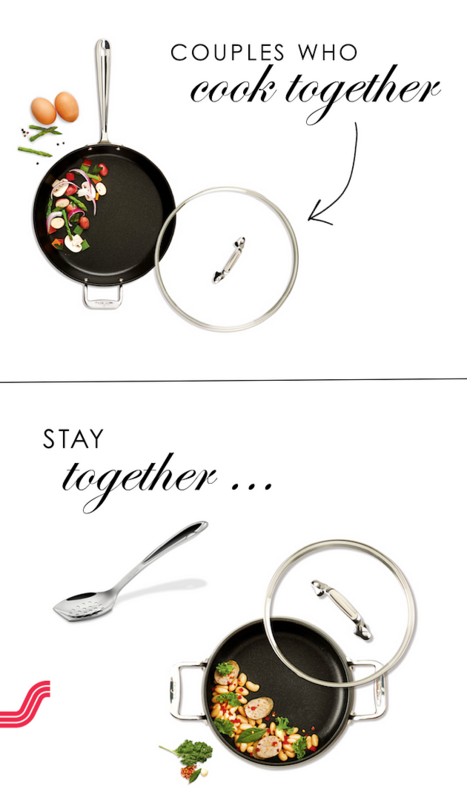 With a lifetime of cozy nights, lazy weekends and family dinner parties ahead of you, one thing we always stress is the importance of investing in quality cookware. Looking for a set that's meant to last? Please tell us that you've heard of All-Clad’s HA1 collection! The product's three layer system is not only scratch resistant but it's also non-stick. And it's durability? It's built to last forever! One of the things that we love most is the fact that its unique vessel shape provides easy clean up and inspires a love for cooking at all levels. Not a pro in the kitchen? No problem! The HA1 collection has a way of unlocking a passion for cooking that you might not have realized existed! Plus, get excited! Because these PFOA-free hard-anodized aluminum pans withstand use in the oven, broiler and even the dishwasher! Furthermore, they require little to no fat for cooking, so you and your love can enjoy healthier meals! And you know what they say, right? A couple who cooks together... stays together! And with this new modern, rounded design? All-Clad’s HA1 collection looks incredible in any kitchen. So sleek, so sophisticated. So what are you waiting for? 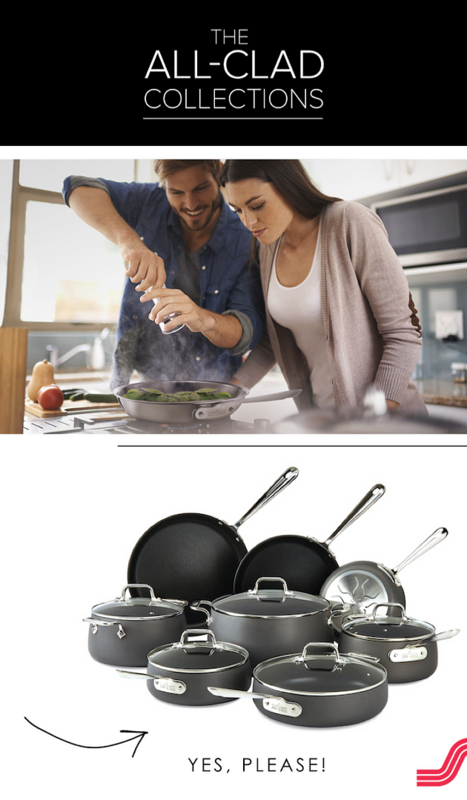 Looking for the high-performance bonded cookware that All-Clad is known for? A product that's handcrafted in the USA by American artisans using American steel? Shop All-Clad’s HA1 collection directly. 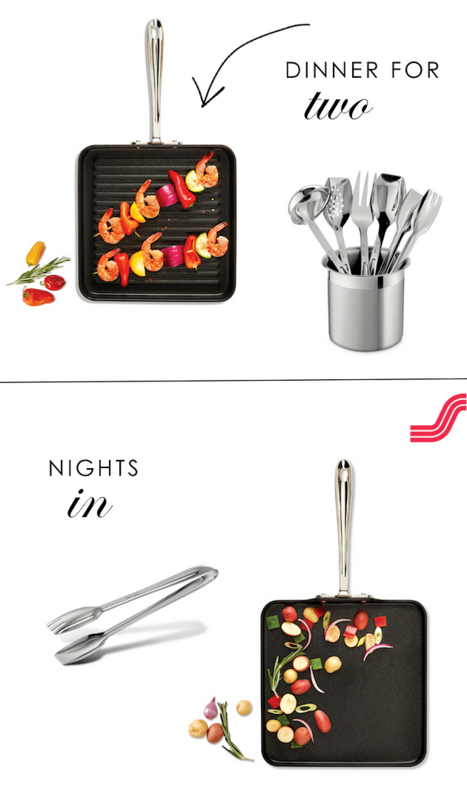 And/or simply look for All-Clad’s HA1 collection when you begin to build your registries at the following retailers: Target, Williams-Sonoma, Macy's, Nordstrom. No Comment to " All-Clad’s HA1 Collection "